조커. Jared Leto as The Joker in Suicide Squad (2016). HD Wallpaper and background images in the Suicide Squad club tagged: photo suicide squad movie 2016 promotional jared leto joker. 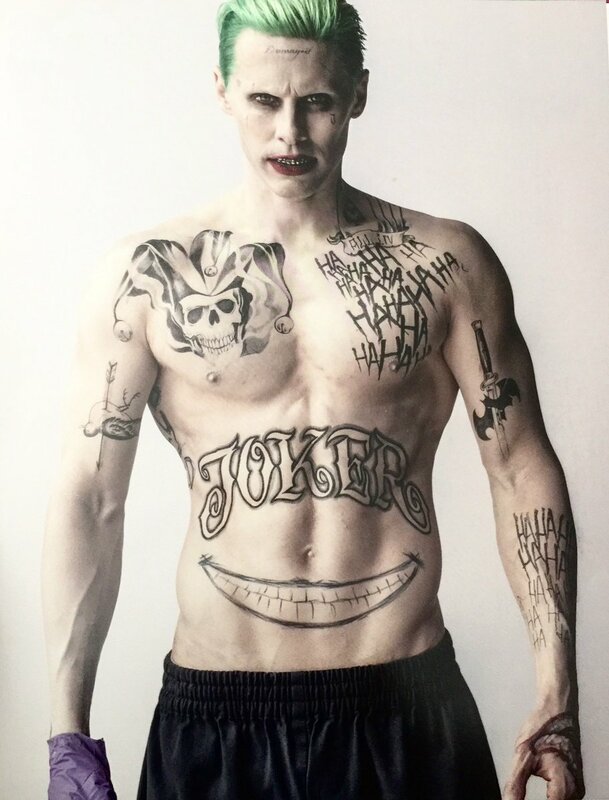 This Suicide Squad photo might contain 6 팩, 복근, ab 균열, 평면 위, 여섯 팩, 위 평면, 6 팩 복 근, 큰 덩어리, 한 조각, 피부, 스킨 톤, 누드 컬러, 부분 벌거 벗음, 묵시적 누드, 부분적인 벌거 벗음, 묵시적인 누드, 묵시적인된 누드, 부분적인 벌거숭이, and skintone.